Home News by type Creative SAPC calendar arrives! A St Austell company has once again teamed up with local students on a project which will help raise money for a much-loved local charity. 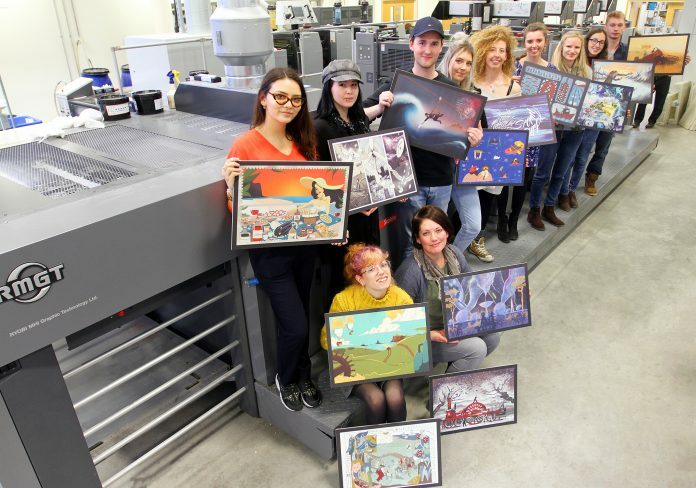 The highly-anticipated St Austell Printing Company (SAPC) Calendar has been unveiled, featuring artwork by talented third-year Falmouth University Illustration students. This year’s theme is “Progress and innovation”, with the artwork reflecting Cornwall’s history and continuing innovation journey. Some of the subjects include St Austell Brewery’s sustainability innovations, Goonhilly, Cornwall’s new Spaceport and Cornish inventors including steam pioneer Richard Trevithick. 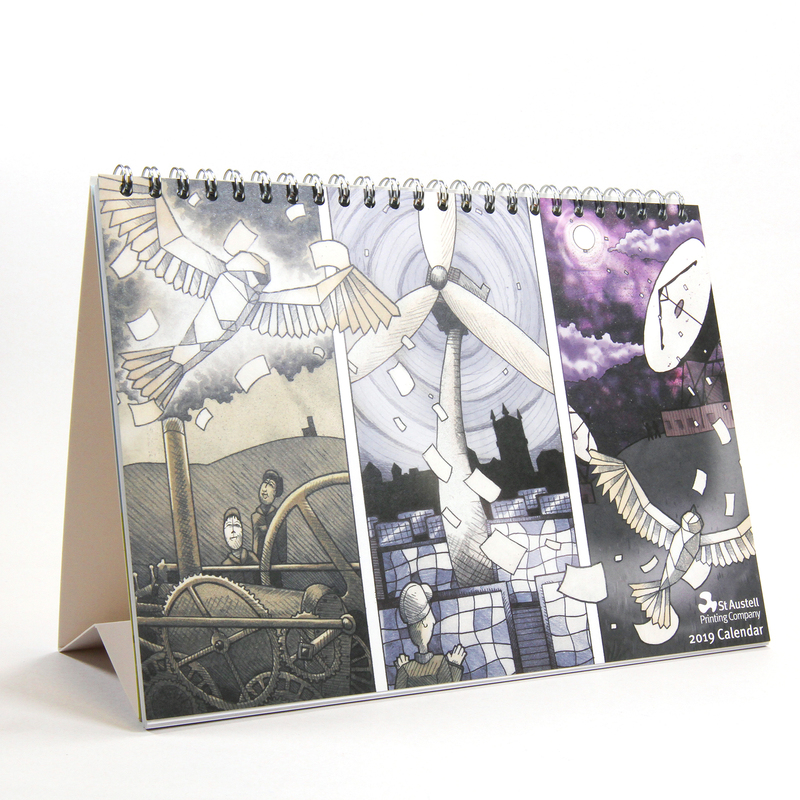 Thousands of calendars have been printed and are being sent to SAPC’s clients across the UK. Copies are also available to buy in Cornwall Hospice Care Shops across the St Austell area and on the St Austell Printing Company website, with all money raised going to the charity. Matt Bunt, SAPC marketing and communications manager, said: “There is always such anticipation around our calendars each year. We’ve had people asking us about this year’s theme since August, which we’ve managed to keep under wraps. This project is part of the third-year curriculum of the course and gives students the opportunity to work on a live project with regular feedback from Bunt and SAPC designer Becky Dibb. She said: “Each year we think the quality can’t get any better, but then we’re pleasantly surprised! Once again, this year the students have come up with some original and exciting designs.